Tooth removal used to be the only option for a tooth that had a diseased or injured pulp, which is the living tissue inside the tooth. Now, root canal therapy is the treatment of choice to cure such infections and save the tooth. By preserving the tooth, root canal therapy can prevent the problems to adjacent teeth that extraction can cause, helping maintain dental health and saving money in the long run. 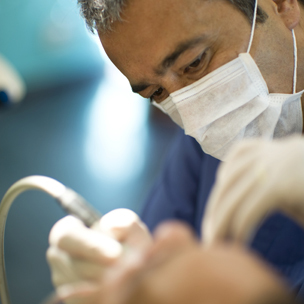 Skill and technique on the part of the endodontist are critical for comfort during a root canal procedure. At Warshauer & Santamaria our doctors are specialists with years of experience performing root canal therapy. We will give you care instructions after each appointment. Good oral hygiene practices and regular dental visits will aid in the life of your tooth following root canal treatment.